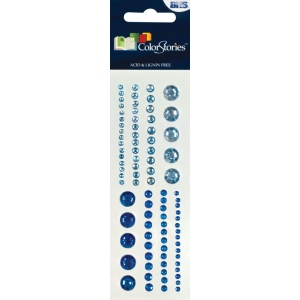 Blue Hills Studio™ ColorStories™ Adhesive Dimensional Gems 2" x 5 3/4"
88 assorted gem sizes in light and dark shades on a 2 x 5¾ sheet. The size is 2" x 5 3/4". Size: 2" x 5 3/4"